Can resistance band exercises improve your running? Absolutely (if you know how)! Pick up 10 simple exercises you can instantly use here. The magic of resistance bands come from the fact that they are designed to be used absolutely anywhere. 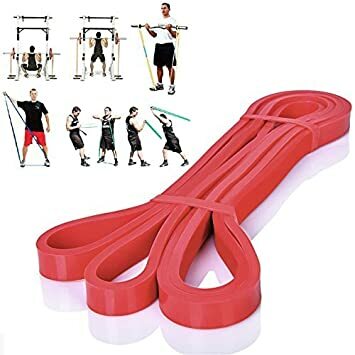 Resistance bands are lightweight, inexpensive and scalable. The problem, though, is that there are just too many ways to train with a resistance band with varying complexity. If you are a runner who belongs to this category, fret not! In this article, we will provide you 10 simple resistance band exercises you can instantly add to your library of workouts to improve your running performance. Lie on your back with knees flexed. Place resistance band around your waist and wrists with palms facing down. Lift up buttocks and return to position 2 to complete one repetition. In standing position, place resistance band around your right shoulder and the bottom of your right forefoot. Stand on your right foot, placing it flat on the ground. Lift up heel and return to position 2 to complete one repetition. Stand with feet shoulder-width apart, knees and toes facing front. Place one end of the resistance band under both feet and tighten the other end by holding the band with both hands. Perform squat as if sitting down and return to position 2 to complete one repetition. Secure one end of resistance band to a fixed point by tying a knot and place the other end around your waist. Stand with feet approximately 1 metre apart with one foot forward and the other feet backwards with heel on the floor. Bending both knees, lower body straight down and return to position 2 to complete one repetition. Secure one end of the resistance band to a fixed point by tying a knot and place the other end around your waist. Step forward with one leg approximately 1 metre from the other leg, bending both knees and lowering body while keeping the back straight. Return to position 2 to complete one repetition and switch positions of feet for the next repetition. Secure one end of the resistance band to a fixed point by tying a knot and place the other end around your waist . Stand with feet shoulder-width apart, knees and toes facing slightly to the side. Step to the side, bending your moving leg while keeping your stationary leg straight. Return to position 2 to complete one repetition. Secure one end of the resistance band to a fixed point by tying a knot and place the other end around your right ankle, keeping the band tight and on your right. Standing with your right leg only, maintain your balance for 1 minute. Increase difficulty by closing your eyes. Secure one end of the resistance band to a fixed point by tying a knot and place the other end around your right ankle, keeping the band tight and on your left. Bundle up band as shown. Standing with your right leg only on the bundled band, maintain your balance for one minute. Increase difficulty by closing your eyes. Standing with your right heel only on the bundled band, maintain your balance for one minute. Increase difficulty by closing your eyes.